This high-speed, dependable, A4 sheetfed business scanner provides a complete document management package for demanding organisations. Capture, convert, distribute and store documents easily and efficiently with this complete document management package. Engineered to integrate seamlessly into complex IT systems, the GT-S85 is highly productive and extremely reliable - perfect for delivering high-volume, high-quality, scan jobs with minimum fuss. 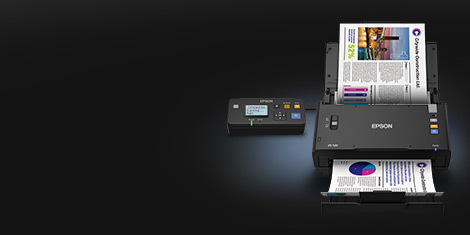 High-quality productivity: The GT-S85 produces high-quality scans at speeds of up to 40 pages per minute in simplex or 80 images per minute in duplex, in mono and colour, at 200dpi. Double-sided pages are scanned in a single pass, while a 75-sheet automatic document feeder is perfect for large-volume jobs. 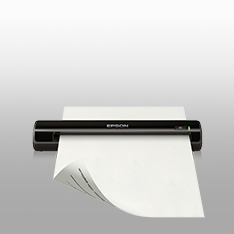 For extra reliability, an ultrasonic sensor is fitted to detect and easily recover paper jams. Designed to fit into virtually any document management system, the GT-S85 is fully compatible with complex IT environments such as Windows Service OS and Citrix. Simplify tasks: Complicated jobs, such as organising documents and reports, converting business cards into a database or enhancing text, become effortless thanks to Epson's advanced software and imaging technology. Customise up to 10 'scan to job' functions to scan and send files where you want them with just a single touch of a button. 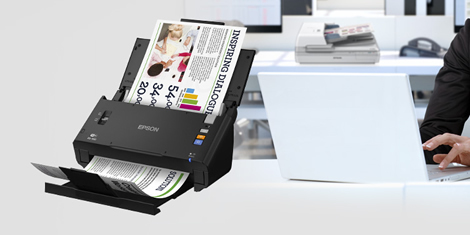 Epson ReadyScan LED technology means no warm-up time and lower power consumption, reducing costs and environmental impact. The GT-S85 is also a mercury-free product, making it more environmentally-conscious. Windows 10 Anniversary Edition: Documents fail to print when using simple AP mode. What should I do? When using the Copy mode it takes a long time to print, what can I do?